The following questions and answers show the differences in railroad retirement and social security benefits payable at the close of the fiscal year ending September 30, 2002. It also shows the differences in age requirements and payroll taxes under the two systems. The average age annuity being paid by the Railroad Retirement Board at the end of fiscal year 2002 to career rail employees was $1,930 a month, and for all retired rail employees the average was $1,495. The average age retirement benefit being paid under social security was $880 a month. Spouse benefits averaged $580 a month under railroad retirement compared to $430 under social security. Yes, because recent awards are based on higher average earnings. For career railroad employees retiring at the end of fiscal year 2002, regular annuity awards averaged over $2,575 a month while monthly benefits awarded to workers retiring at full retirement age under social security averaged some $1,160. If spouse benefits are added, the combined benefits for the employee and spouse would approximate $3,615 under railroad retirement coverage, compared to $1,740 under social security. Adding a supplemental annuity to the railroad family’s benefit increases average total benefits for current career rail retirees to about $3,655 a month. Disabled railroad workers retiring directly from the railroad industry at the end of fiscal year 2002 were awarded $2,165 a month on the average while awards for disabled workers under social security averaged over $890. While both the Railroad Retirement and Social Security Acts provide benefits to workers who are totally disabled for any regular work, the Railroad Retirement Act also provides disability benefits specifically for career employees who are disabled for work in their regular railroad occupation. Career employees may be eligible for such an occupational disability annuity at age 60 with 10 years of service, or at any age with 20 years of service. 4. Can railroaders retire at earlier ages than workers under social security? Early retirement reductions are otherwise applied to annuities awarded before full retirement age—the age at which an employee can receive full benefits with no reduction for early retirement. This ranges from age 65 for those born before 1938 to age 67 for those born in 1960 or later, the same as under social security. 5. Does social security offer any benefits that are not available under railroad retirement? Social security does pay certain types of benefits that are not available under railroad retirement. For example, social security provides children’s benefits when an employee is disabled, retired or deceased. Under current law, the Railroad Retirement Act only provides children’s benefits if the employee is deceased. However, the Railroad Retirement Act includes a special minimum guaranty provision which ensures that railroad families will not receive less in monthly benefits than they would have if railroad earnings were covered by social security rather than railroad retirement laws. This guaranty is intended to cover situations in which one or more members of a family would otherwise be eligible for a type of social security benefit that is not provided under the Railroad Retirement Act. Therefore, if a retired rail employee has children who would otherwise be eligible for a benefit under social security, the employee’s annuity can be increased to reflect what social security would pay the family. 6. How much are monthly benefits for survivors under railroad retirement and social security? 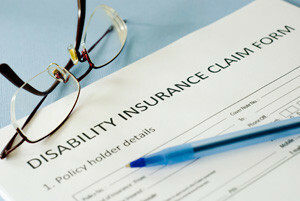 Survivor benefits are generally higher if payable by the Board rather than social security. At the end of fiscal year 2002, the average annuity being paid to all aged and disabled widow(er)s averaged $945 a month, compared to $835 under social security. Benefits awarded by the Board at the end of fiscal year 2002 to aged and disabled widow(er)s of railroaders averaged $1,315 a month, compared to about $715 under social security. The annuities being paid at the end of fiscal year 2002 to widowed mothers/fathers averaged $1,230 a month and children’s annuities averaged $730, compared to $630 and $575 a month for widowed mothers/fathers and children, respectively, under social security. Those awarded at the end of fiscal year 2002 were $1,500 a month for widowed mothers/fathers and $990 a month for children under railroad retirement, compared to $635 and $595 for widowed mothers/fathers and children, respectively, under social security. The benefits to aged and disabled widow(er)s and widowed mothers/fathers at the end of fiscal year 2002 reflect the Railroad Retirement and Survivors’ Improvement Act of 2001. 7. How do railroad retirement and social security lump-sum death benefit provisions differ? Both the railroad retirement and social security systems provide a lump-sum death benefit. The railroad retirement lump-sum benefit is generally payable only if survivor annuities are not immediately due upon an employee’s death. The social security lump-sum benefit may be payable regardless of whether monthly benefits are also due. Both railroad retirement and social security provide a lump-sum benefit of $255. However, if a railroad employee completed 10 years of service before 1975, the average railroad retirement lump-sum benefit payable is $950. Also, if an employee had less than 10 years of service, but had at least 5 years of such service after 1995, he or she would have to have had an insured status under social security law (counting both railroad retirement and social security credits) in order for the $255 lump-sum benefit to be payable. The social security lump sum is generally only payable to the widow or widower living with the employee at the time of death. Under railroad retirement, if the employee had 10 years of service before 1975, and was not survived by a living-with widow or widower, the lump sum may be paid to the funeral home or the payer of the funeral expenses. The railroad retirement system also provides, under certain conditions, a residual lump-sum death benefit which ensures that a railroad family receives at least as much in benefits as the employee paid in railroad retirement taxes before 1975. This benefit is, in effect, a refund of an employee’s pre-1975 railroad retirement taxes, after subtraction of any benefits previously paid on the basis of the employee’s service. However, an employee’s benefits generally exceed taxes within two years; this death benefit is, consequently, seldom payable. Railroad retirement payroll taxes, like railroad retirement benefits, are calculated on a two-tier basis. Rail employees and employers pay tier I taxes at the same rate as social security taxes, 7.65 percent, consisting of 6.20 percent on earnings up to $87,000 in 2003 and 1.45 percent for Medicare hospital insurance on all earnings. In 2003, the tier II tax rate on employees is 4.90 percent and on rail employers and rail labor organizations it is 14.20 percent on employee earnings up to $64,500. On rail employee representatives the rate is also 14.20 percent in 2003. An employee representative is a labor official of a non-covered labor organization who represents employees covered under the Acts administered by the Railroad Retirement Board. Beginning with the taxes payable for calendar year 2004, tier II taxes on both employers and employees will be based on an average account benefits ratio. Depending on that ratio, the tier II tax rate for employers will range between 8.20 percent and 22.10 percent, while the tier II tax rate for employees will be between 0 percent and 4.90 percent. 9. How much are regular railroad retirement taxes for an employee earning $87,000 in 2003 compared to social security taxes? The maximum amount of regular railroad retirement taxes that an employee earning $87,000 can pay in 2003 is $9,816.00, compared to $6,655.50 under social security. For railroad employers, the maximum annual regular retirement taxes on an employee earning $87,000 are $15,814.50 compared to $6,655.50 under social security. Employees earning over $87,000, and their employers, will pay more in retirement taxes than the above amounts because the Medicare hospital insurance tax of 1.45 percent is applied to all earnings.